At Classic Jena 169 comfortably equipped rooms and suites are waiting for you. We offer special rooms for non-smokers and allergic persons. Classif Jena furthermore features 6 conference rooms equipped with all kinds of modern technology and with capacities for up to 130 delegates. You are insured of the lowest internet-rates. But you can pay at the reception of CLASSIC Hotel Jena, Jena. Without reservation costs and at the lowest price! After your reservation you receive a conformation by e-mail. 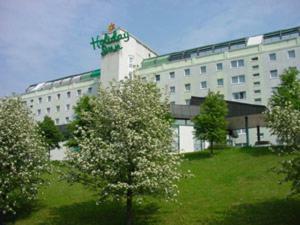 We wish you a pleasant stay at our hotel in Jena. All hotels within Jena: Click here.